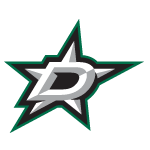 James Patrick joined the Stars coaching staff on July 24, 2013. Patrick, a 21-year NHL defenseman, most recently served as an assistant coach for the Buffalo Sabres over the past seven seasons, working under coach Lindy Ruff from 2006-13, as well as Ron Rolston to finish out last season. Prior to becoming an assistant coach in Buffalo, he began the 2005-06 season as their skill development coach before finishing his playing career for Frankfurt of the German Elite League. Patrick posted seven consecutive seasons (1985-92) of 40 or more points with the New York Rangers, including a career-high of 71 (14 goals and 57 assists) in 1991-92. The 71 points and 57 assists were career-bests for Patrick. He scored a career-high 17 goals in 1987-88. Patrick played six seasons in Buffalo after signing as an unrestricted free agent on June 7, 1998. He scored 74 points (23 goals and 51 assists) in 345 regular season games, and added 5 points (1 goal and 4 assists) in 38 playoff games. Patrick’s career plus/minus total of plus-104 reflects his steady defensive play. He finished as a minus in just one of six seasons in Buffalo, and in just six of his 21 seasons. Patrick is also a veteran of international competition, having won championships for Team Canada at the 1982 World Junior Championships and 1987 Canada Cup tournaments, and bronze with the 1983 World Junior team. He also represented Canada in the 1984 Winter Olympics, and the 1983, 1987, 1998 and 2002 World Championships.